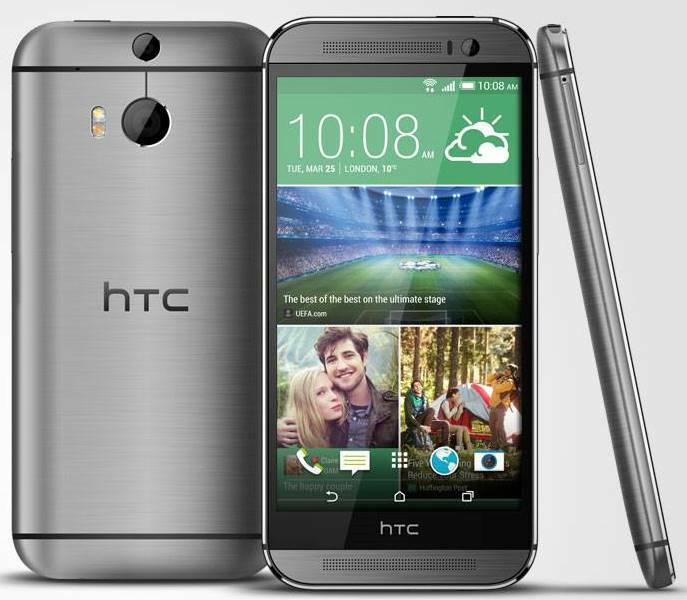 You have to admit it – We all have seen HTC 2014 flagship ‘HTC One (M8)’ thousand times even with hands on video. But all of those were unofficial! 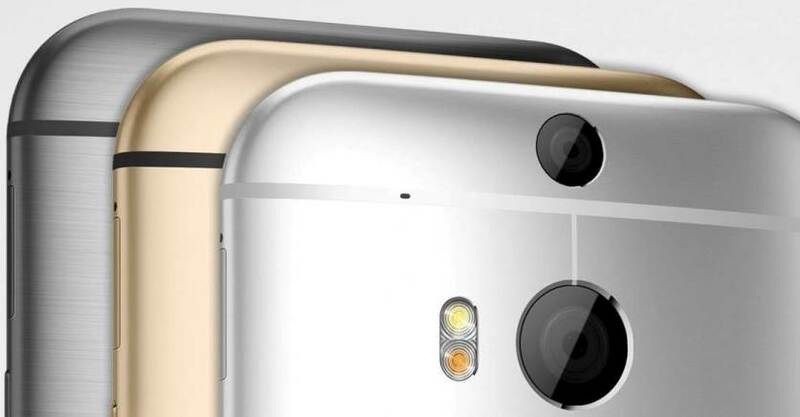 The HTC One (M8) is now official and most of the rumors we've seen so far came out true. The smartphone has a unibody made of 90% metal as opposed to 70% for its predecessor giving it an even sleeker look. 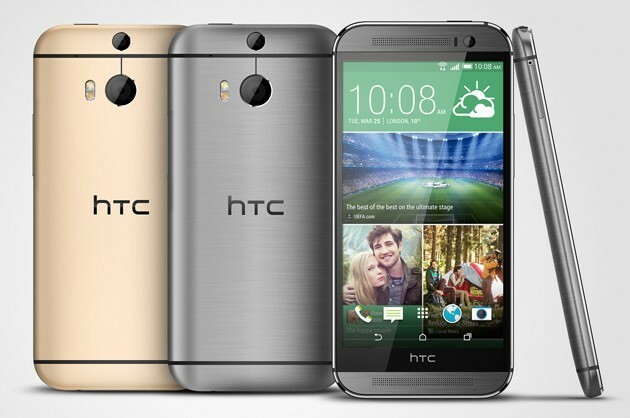 The new HTC One features a wraparound metal design, a 5-inch display and a dual rear camera setup. The phone comes in three colors at launch — gunmetal gray, glacial silver and amber gold. HTC took special care to mention that their antenna is built into the rear of the device’s body, so the metal shouldn’t interfere with day-to-day usage. The One (M8) screen has been increased from a 4.7" unit to a 5", while retaining the 1080p resolution. Side bezels have been slimmed down and hardware keys have been replaced by on-screen ones so the difference in size compared to the original One is minimal. As far as processing power goes, the new HTC flagshipoffers a Snapdragon 801 chipset with a 2.3 GHz Krait 400 processor for the US, Europe, Middle East and Africa and a higher-clocked 2.5 GHz Krait 400 CPU for Asia, Adreno 330 GPU and 2 GB of RAM. The storage options are 16 GB and 32 GB but the M8 will allow expansion by up to 128 GB through the microSD card slot. The phone features 25% louder "BoomSound" front-facing speakers and an all-new "Duo Camera" setup for photography and video. The main camera is a 4-megapixel "Ultrapixel" unit with f/2.0 lens, while the secondary camera, located above it, is used for capturing depth information for use with the phone's advanced photo features. For example, you can refocus still images after shooting them, add 3D effects to pictures. As on the previous HTC One, you can also record "Zoe" animated shots and create automatic video highlight reels. 1080p HD video recording is supported, as is HDR video, and there's also a 5-megapixel BSI (backside illuminated) front facer. And launching soon, the new Zoe social app will allow you to share Zoes and photos — and remix your friends' highlight videos, too. HTC has announced that the M8 is headed to more than 230 carriers in more than 100 carriers, many of which will go down before the end of April. A lot of folks won’t have to wait that long, though, with HTC announcing that you’ll be able to go to Verizon, Sprint, AT&T, Rogers, Bell and Telus websites starting at 1PM this afternoon, with phones arriving as early as tomorrow! Those on Verizon will also be able to head into their local store today and finagle one themselves starting at 1PM. As for the rest of the pack, HTC says most launches will happen before April 10th, so it’s only a short couple of weeks before a vast majority of the mobile-loving world gets their hands on one of these.